Update since we have been back from Nepal! – ArunasNepalRelief, Inc.
After we came back, I needed some down time after this massive undertaking of our short term goal which we accomplished successfully June/July of 2015. Thank you to all donors! I started focusing on my family in Austin, reopening and running my tennis program, playing competitive tennis and spend quality time with my mother whom we brought back from Nepal. Just like many of the earthquake survivors, my mother suffered psychological trauma and it was evident. We spent time working out, gardening, cooking, hiking, sewing and visiting places in Austin. I have always been a big proponent of physical fitness that leads to mental fitness, so I encouraged my mother to swim, walk, hike, garden and cook and we did it side by side. My husband and son adore her, she has always been full of energy and loves keeping busy but the earthquakes had taken a toll. We did all we could to help her get her energy back! September 23rd, 2015 the blockade in Nepal started. I wanted my mother to stay longer as winter was arriving. 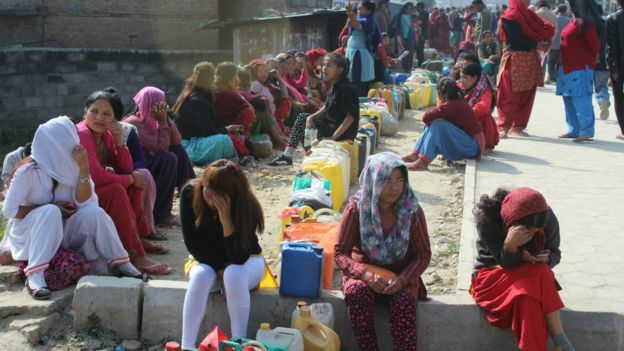 No central heating and load shedding was always a norm pre earthquake, but post earthquake in addition to continuing aftershocks and still in recovery mode, the blockade would create a huge humanitarian crisis as Nepal imports all of its petroleum supplies from India. Home is always where the heart is for all of us, and after a nice break with us, my mother went back to Nepal during the harsh winter months. She has always been a tough cookie and with the 6 months break she was tougher than ever. She told us, everything will be ok, if the others in the rural villages can fight and survive these dire conditions, I am in a better position and can manage. She reached Nepal safely and then in February 5th, 2016 5.5 magnitude aftershock followed. I was calmer this time after talking to my mother who said to me over the phone “we endured 7.8 and many other big ones, this is nothing, we will be fine”. She is my pillar of strength who puts my life into perspective on a daily basis of how fortunate we are living in the US. I continue to pray for Nepal and I hope I can do more! The protests have resulted in the deaths of over 50 people. The Madhesi groups insist however that their blockade is still in effect. Local officials said that vehicles had managed to pass through for the first time on Friday. “There is no blockade at the checkpoint right now, and over 150 small and big vehicles have passed through since this afternoon,” local police chief Raju Babu Shrestha told AFP. 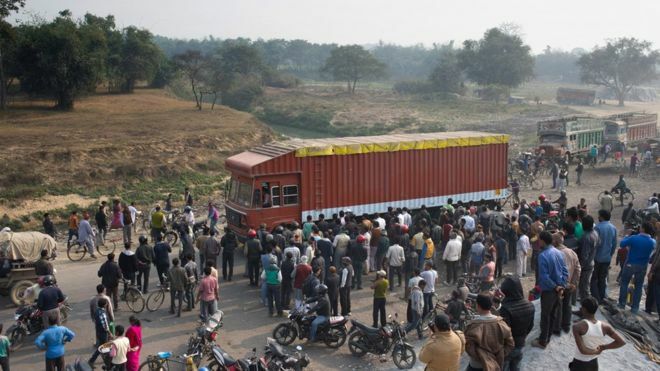 The 2015 Nepal blockade, which began on 23 September 2015, is an economic and humanitarian crisis which has severely affected Nepal and its economy. The government of Nepal has accused India of imposing an undeclared blockade. India has denied the allegations, stating the supply shortages have been imposed by Madheshi protesters within Nepal, and that India has no role in it. However, despite Indian denials, minimal border entries even from border points that witnessed no agitation added to the allegations that it was indeed an India enforced border blockade. 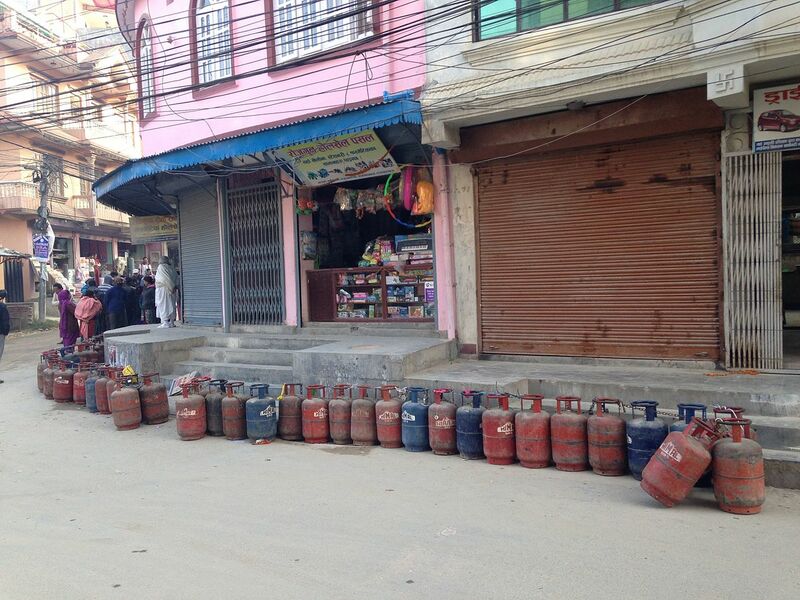 The BBC looks at six ways the blockade has affected Nepal. The blockade is led by ethnic minorities who say they are discriminated against in the new constitution. The government also accuses India of deliberately worsening the embargo – something India denies. kasthamandap- Heart of Kathmandu city! A moment of silence!